What Kind of Websites Need SEO… All! It is an established truth now that no business can survive the on-line hula hoop without the efficient efforts of an SEO expert. But, what kind of businesses are we talking about? Which kind of websites actually need the optimization work for the search engines? So, you have an eCommerce website and you should probably not be too worried? Or, may be your website is responsive and you have a “that would be all” sort of situation for your business? Well, not really! If you think there is one particular kind or kinds of websites that need the push of qualitative Search Engine Optimisation practices, then it is high time you got the facts right. 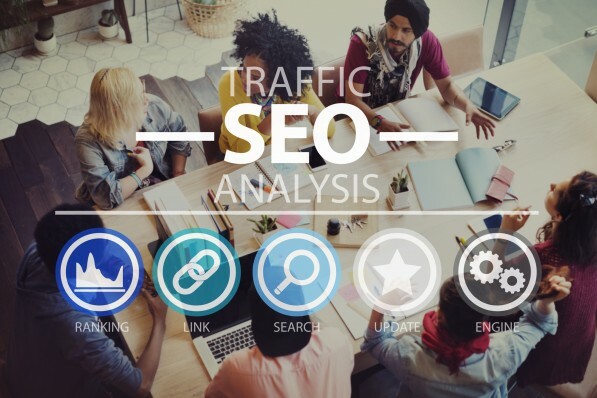 SEO is not just an important element for the promotion of conventional websites – the static and dynamic, but in many ways, SEO is probably the best of all elements of on-line marketing that establish its very foundation. So, if you are a local business or an establish brand, your website will need the expert services of a seasoned SEO company based locally here in Scotland. The two forms of website that evolved in the recent times and are giving stiff competition to each other in order to win the attention and loyalty of the customers are the responsive websites and the eCommerce websites. Therefore, if you have a responsive website or an on-line store, you need one of the best in town SEO experts to boost your web traffic as well as on-line sale leads to a great extent. Your website is multi device compatible and works across the best platforms. You have a website that is as per the latest mobile-friendly standards and works well across hand-held devices such as smartphones, tablets and also on desktops. But, this will not suffice for a steady qualitative traffic to the website. You need a brand builder and a veteran player of the digital media to assist you in establishing your on-line business. Search engine optimization helps in ensuring the right mix of all the SEO elements on a website. Right from the best Meta tags, prominent images, image alt tags, headers and prominent calls to action to the best contact form, gallery, and the use of the right set of business keywords are equally important. Your on-line store has a number of products under diverse categories. But, to ensure a steady flow of relevant traffic at a regular basis, your website needs the assistance of an SEO expert. The addition of the SEO elements on the website, use of easy and user-friendly eCommerce solutions such as customizable shopping cart, express checkout, well-researched keywords, smooth navigation and simple site structure assist in easy crawling of the web pages of an on-line store. Therefore, SEO is not just for one website. It is the basis of the on-line success roadmap for any on-line business. Whether you have an on-line store, responsive website, a simple static website, mobile site, social network, and a blog or just about anything, you need the services of a professional SEO company based locally here in Scotland to help you establish your brand in the market and drive qualified traffic to your website.